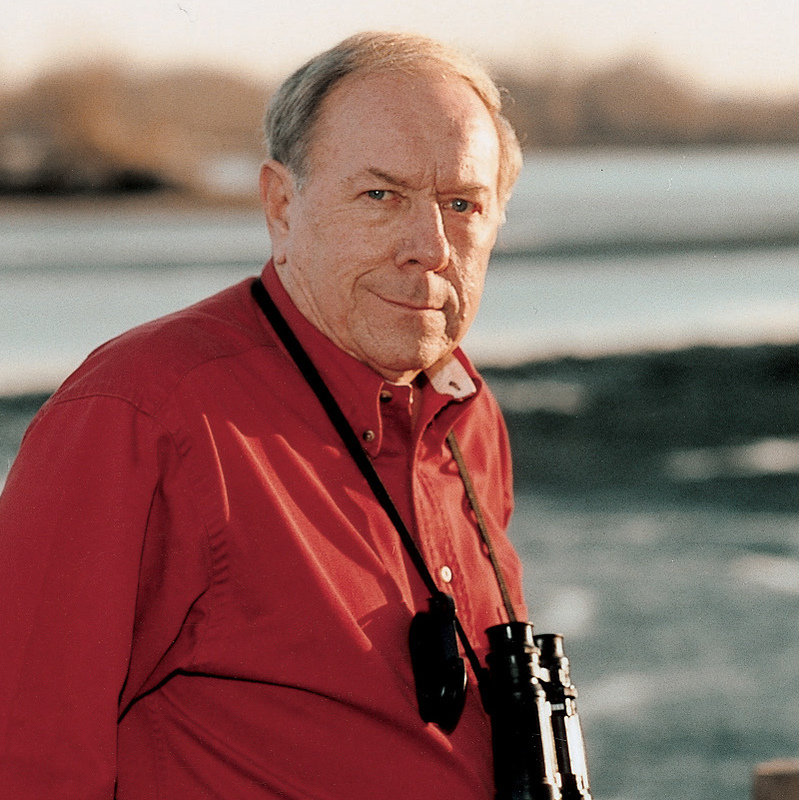 The evolutionary history of bird biology is fascinating. For years, scientists debated whether birds developed from dinosaurs or reptiles closely related to dinosaurs. It was settled in recent years that birds were derived from feathered dinosaurs. 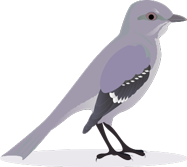 Fossils of primitive birds indicate that they were already on their way to flight. To master the air, however, would require solving critical problems. For starters, the skull and the rest of the skeleton were too heavy, and specialized wings were needed. Developing a lightweight skull required getting rid of the teeth, which was compensated for by creating a gizzard — a special compartment of the stomach with heavy muscle layers to which grit is added by ingestion. The gizzard also helped move the center of gravity over the wings. Hollow bones helped with weight reduction, as did increasing the amount of spongy bone (with large air spaces) and decreasing the amount of hard compact bone. To fly, of course, meant sacrificing the “hands,” which were prominent in the ancestral reptile. The loss of fingers would have huge ramifications for food getting and nest building. Something was needed for grasping, something like fingers. Toes are not enough. 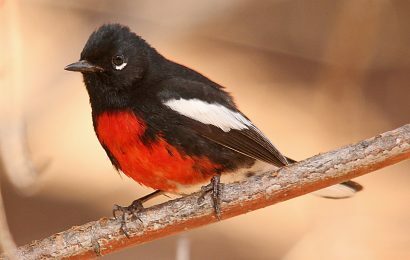 Birds answered by making a grasping tool out of their snout — an elongate forceps-like structure at its tip — called a beak. The beak has been modified more than any other avian structure into myriad sizes and shapes, each with a special function. 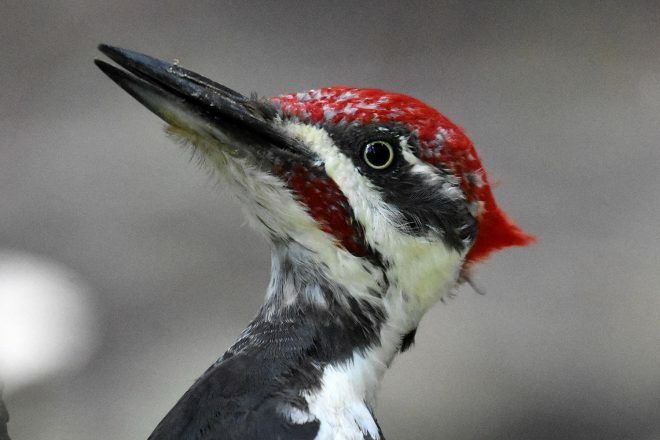 Consider the short delicate beaks of kinglets, long stabbing beaks of Anhingas, chisel-like beaks of woodpeckers, sharply hooked beaks of raptors for tearing and similar beaks of parrots to crush large nuts. And then there is the flamingo. 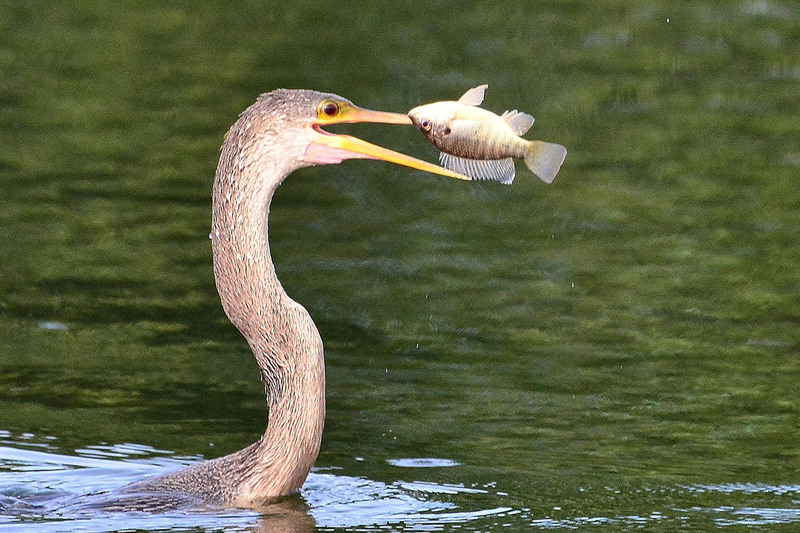 Its beak is huge and houses a water-pumping tongue and delicate filtration system. 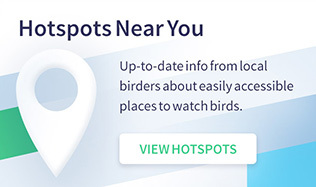 In spite of the tremendous variation in size and shape, beaks have a common origin. In reptiles, the upper jaw consists of two central premaxillary bones that are rounded with blunt ends and are separate, and two lateral maxillary bones. In birds, the two premaxillary bones are narrow, with pronounced elongation, and fused. The extension of the premaxillary bones becomes the boney core of the upper beak. The boney core for the lower beak comes from the mandible. The first bird beaks were likely rather simple structures, similar to generalized modern beaks, with size influenced by body size of the bird. In humans, for comparison, the two premaxillary bones and two maxillary bones are fused into one solid bone called the maxillary. The four upper incisors are embedded into the part of the maxillary formed from the fused premaxillary bones. Another skeletal change needed by birds was in the roof of the mouth. In vertebrates, the roof of the mouth is formed from a large flat bone called the palatine. In crocodiles and mammals, it is large and fuses with the premaxillary and maxillary bones of the upper jaw to make one large, solid bone. 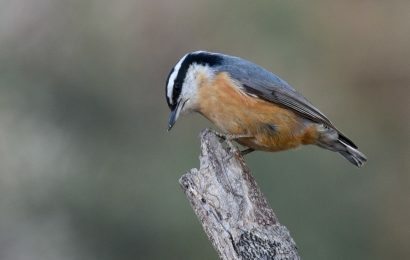 In birds, however, the upper beak must be moveable, so the avian palatine must be smaller and hinge with the upper beak. So how does a bird beak form from a crocodile snout? Arkhat Abzhanov and his team at Harvard and Kansas universities, specialists in developmental evolutionary biology, took on that problem. They studied the facial portion of skulls of modern and ancient birds and crocodilian reptiles to learn where particular facial changes were made. Next, they wanted to examine these regions in developing chicken and alligator embryos. Growth and modification of new cells during development are directed by regulatory genes, of which there are many. Two genes are responsible for growth and differentiation of cells in the facial region of vertebrates. While genetic activity of these genes is most prominent in the lateral part of the face of most vertebrates, it is more pronounced in the center of the developing face of birds. Increasing the amount of growth factor in this region causes the developing chick’s beak to enlarge. This is where Abzhanov and his group made a decision of great consequence. If these specialized genes were necessary to develop a beak in a chick embryo, what would happen if they were to inhibit the effects of these genes? The experiment was described in an article published in a 2015 issue of the journal Evolution. By inhibiting the effect of the regulatory genes, the beak of the chick did not develop. Moreover, the elongate, fused premaxillary bones were shortened with rounded ends and not fused. These changes resulted in a developing chick without a beak that instead had an alligator-like snout. Not only did the beak structure revert to an ancestral state, so did the palatine bone in the roof of the mouth. This, I believe, was the first example of scientists creating reverse evolution in a living organism by inhibiting the genes that caused an evolutionary change. Traditionally, biologists have studied evolutionary relationships by comparing anatomy, behavior, and ecology, among others. 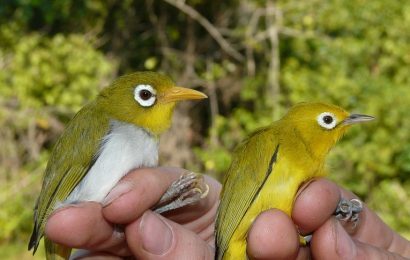 The manipulation of regulatory genes in embryos is a welcome addition to the arsenal of tools of evolutionary biologists and helps explain the evolution of those amazing birds. 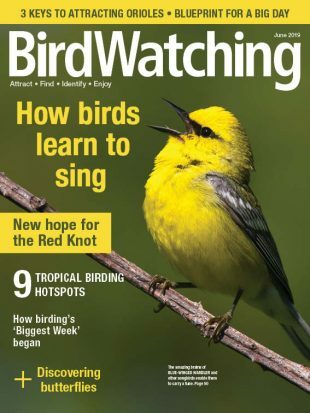 This article from Eldon Greij’s column “Amazing Birds” appeared in the July/August 2018 issue of BirdWatching.